A Louisville Real Estate Specialist with a commitment to excellence. Pam Owens Realtor Ⓡ , Hall of Fame is a first class full service Louisville real estate agent serving buyers and sellers of real estate in Louisville, KY including surrounding areas of Highlands, Springhurst, Glenview, Prospect, Anchorage and more. Selling a house? Buying a home? Get an edge on the Louisville real estate market! Pam Owens Realtor Ⓡ , Hall of Fame should be your first call when you are looking for real estate in Louisville KY and surrounding areas in Northern Kentucky. She’s a Louisville, KY real estate agent dedicated to meeting your real estate needs and exceeding your expectations. 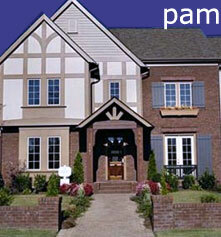 Pam knows knows how to make your property “show well” and attract interested, qualified, and motivated buyers. Pam guides you through the selling process from initial inquiry to final real estate transaction. Her attention to detail makes her this area's leader in caring, individual, personalized and professional Northern Kentucky real estate service you can trust. You need the assistance of a professional Louisville Realtor who knows Kentucky. Pam Owens Realtor Ⓡ , Hall of Fame specializes in real estate in Louisville – including Jefferson County, Bullitt County, Spencer County and Oldham County. She’s a top-producing Louisville, KY Realtor, which means she knows how to effectively market, show, and sell your property. Call Pam Owens Realtor Ⓡ , Hall of Fame and actually enjoy your next real estate transaction.